It was one of the most notorious attempts to bring lethal drugs into the north of Scotland. But now, the boat at the centre of the UK’s biggest drugs haul has been sold off under proceeds of crime legislation. The MV Hamal vessel was searched off the coast of Aberdeen and a staggering £512million worth of cocaine was found hidden on board. It went under the hammer as part of a proceeds of crime auction organised by Wilson’s Auctioneers and raised £72,000 for the national proceeds of crime cash fund. The 2015 drugs seizure is believed to be the biggest single cocaine haul which has ever been recovered at sea in Europe. 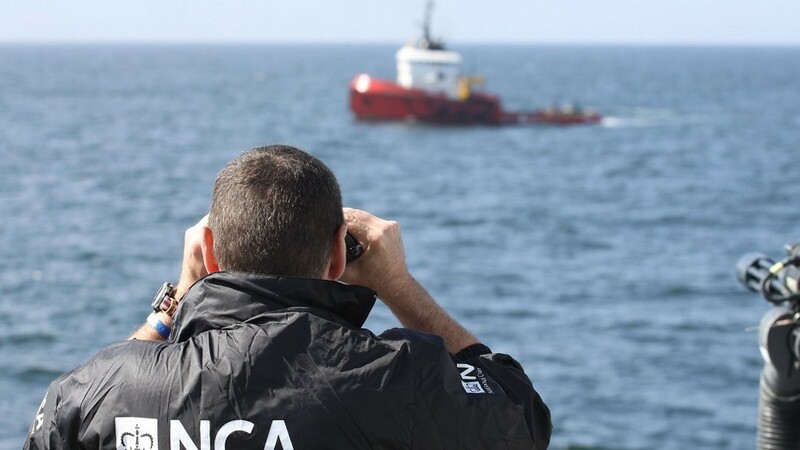 Two Turkish sailors were subsequently convicted of smuggling the record haul of cocaine aboard the diminutive tug boat. Mumin Sahin and Emin Ozmen were both jailed for at least 20 years following a trial after three tonnes of the class A drug were discovered inside the MV Hamal, about 100 miles off the coast of Aberdeen in the North Sea. Officers boarded the Tanzanian-registered vessel after a tip-off from French officials. Once it had docked in Aberdeen, investigators drilled through a steel plate into a secret compartment and found 128 bales of cocaine weighing 3.2 tonnes, which took nearly three days to remove. Speaking last night, Wilson’s head of asset recovery Aidan Larkin said they had seen the proceeds of crime side of things “continually grow and grow” and added: “The MV Hamal is by no means the largest asset we have sold, but it does come with the most memorable back story. “We sell on anything from gold bars to race horses. Our proceeds of crime sales have become more numerous, we now have one every two weeks, whereas they used to be one every couple of months. “I think with the legislation changing in Scotland, we will see more and more types of assets coming through now. “We already get hundreds of Rolex watches and luxury cars and helicopters can also raise a lot of interest.